Children’s removable braces… a good option to correct crowded top jaws, deep bites and cross bites. Sometimes children with narrow jaws can suffer from crowding when their adult teeth emerge. It’s important to identify this potential problem as early as possible, to avoid the need to extract teeth later. Removeable braces, also known as expander braces, provide an excellent solution. They help to widen narrow, crowded top jaws but are barely visible. 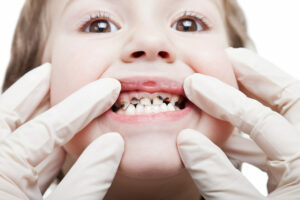 Frequently they prepare the way for fixed braces to be fitted when the child is a little older. Here at Moira Wong Orthodontics we find that even children with extremely narrow jaws – and consequently a poor bite – enjoy consistently successful results from this unobtrusive treatment. Removeable braces give extra space for adult teeth to grow into the right positions… saving your child from extractions at a later date.